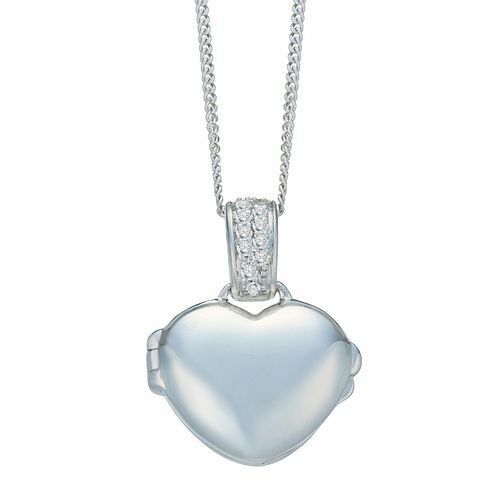 Keep your loved ones always next to you with this romantic three dimensional Everlasting Heart Locket. It is crafted in 9ct White Gold and is hanging from a delicate chain. The dainty heart charm is held by a sparkling diamond set bale, giving this design a truly unique feel.